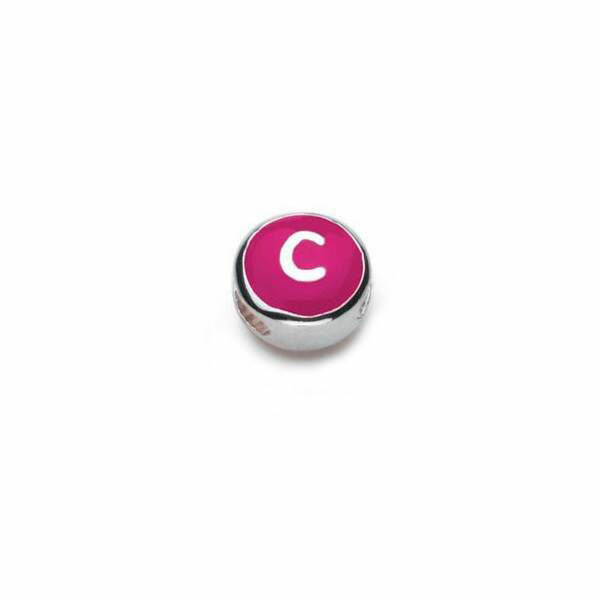 All letter c's are hot pink on one side and orange on the other side - and all are lower case. Upper case letters are not available. Each bead measures approximately 8mm x 8mm x 5(0.31in x 0.31in x 0.20in).